Cutting Board Display Set. Five multi-colored, solid wood boards come with this set. And they represent durability and style. So the cutting board set is a ‘must have’ for any culinary artist. 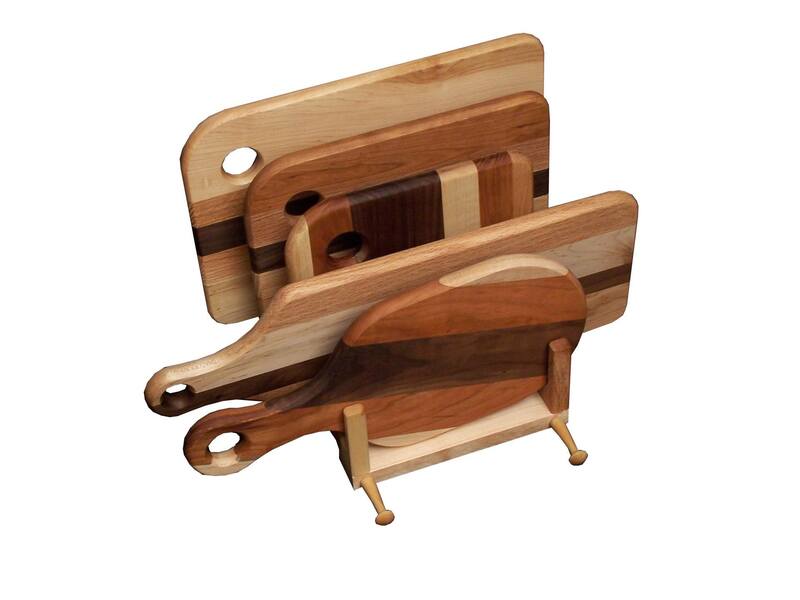 This Cutting Board Display Set is one of the many home accessories available from Brandenberry. Acorn Bookcase & Corner Bookcases. Amish artisans make each bookcase from solid oak with an acorn etched at the top. So the bookcase is both decorative and practical. And homeowners will love the space for books in the middle. Plus, they’ll get space for curio items in the corner spaces on both sides. Birdhouse Baskets. Hand-woven and richly-colored, these beautiful birdhouses make the perfect gift for the family bird watcher. Also, homeowners will find the baskets ideal decorative storage spaces inside the home. Mission Nesting Tables. Presenting a superb solution for entertaining with limited space. The three tables pull apart when necessary. Then, they converge as a single table footprint. Mission Magazine Rack. Made from solid hardwood with wood wood slats at the front and back, this beautiful magazine rack makes a practical and attractive addition to your living room or den. Also, it’s customizable, and you can order it unfinished. Homeowners will find items for the bedroom, kitchen, living room, office and more at Brandenberry’s online store. Or, you can visit our ‘brick and mortar’ store in Shipshewana, Indiana, and see them in person.